One Camera. Three sensors. 180 overview. Three sensors provide a perfect 180º overview without any stitch in the center, intuitively conveying situational awareness over a large area. AXIS Q37 cameras support day/night functionality for unparalleled video streaming performance during day as well as night. The cameras come with multiple multi-megapixel lenses focused from factory, which eliminates the need for focusing during the installation. 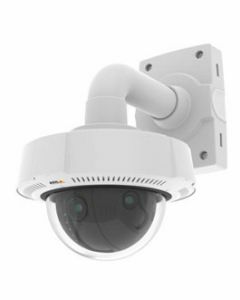 The cameras come in a stylish and discreet design with an easily repaintable and removable weather shield that protects against rain, snow and sunlight and allows for easy blending in with the environment. 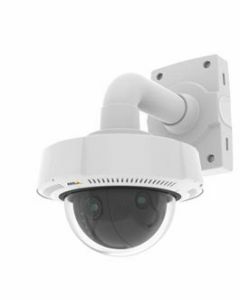 AXIS Q37 cameras operates in a wide temperature range powered by extended standard Power over Ethernet Plus (PoE+).